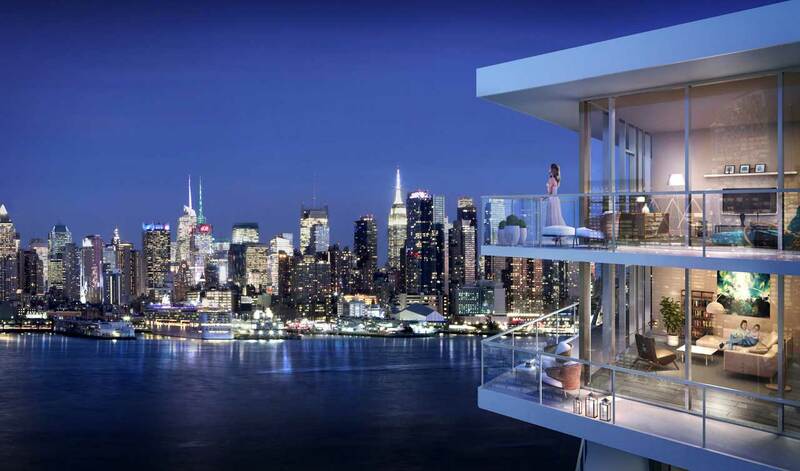 WEEHAWKEN, NJ – Buyers are snapping up a new offering of luxury condominium residences at Lennar’s 1200 Avenue at Port Imperial, supporting the notion that there is pent-up demand in the area for new condominium homes, particularly in an upscale, boutique setting that also boasts a waterfront location and spectacular Manhattan skyline views. Lennar launched sales at the new seven-story building last month following the success of 1000 Avenue at Port Imperial, the first property to open in The Avenue Collection on Weehawken, New Jersey’s Hudson River waterfront. The response has been more of the same as buyers have expressed a healthy appetite for the new offering which features ultra-modern residences, upscale amenities, and a convenient location just steps from New York Waterway’s Port Imperial Ferry Terminal with service to midtown and downtown Manhattan. Lennar fashioned a full suite of private amenities and services to enhance that lifestyle experience, including a grand salon lobby, library lounge, media screening room, children’s playroom, and state-of-the-art fitness center with men’s and women’s locker rooms with sauna and steam showers. On the 7th floor, the Skyline Social Room features a lounge-like space to relax and entertain, where a catering kitchen and bar, multiple gathering areas with fireplaces, sound system and televisions, and an internet lounge are available, all against the backdrop of the New York City skyline. Outside, a dramatic third-floor landscaped plaza features an expansive open-air amenity space that includes a sun shelf swimming pool, sun deck with outdoor showers, pool house with catering bar and restrooms, open lawn and garden spaces, and fire pit with motorized shade trellis. 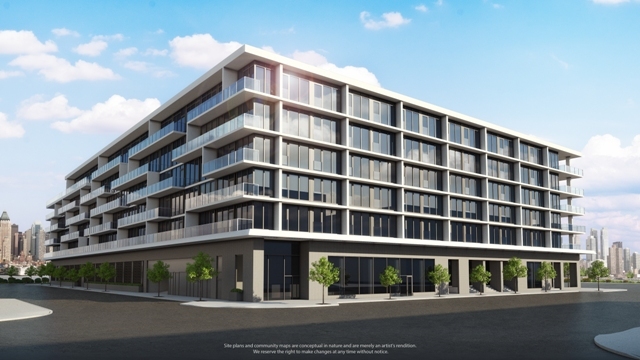 Residents of 1200 Avenue at Port Imperial also enjoy concierge services, cold storage facilities, an integrated building security system with controlled access, a bicycle storage room, and an enclosed parking garage with at least one parking space per residence. Modern elegance extends to the homes as well which are encased in a sleek glass exterior with brick and metal panel accents, designed by renowned Manhattan-based architect Handel Architects, LLP. The property is designed to maximize views, with large windows and private balconies/terraces in most homes. One-to-three-bedroom residences with 887 to 3,139 square feet of living space are available at prices starting from $759,000. Select one- and two-bedroom homes include a den, while most residences feature private outdoor space ranging up to 1,036 square feet. Designer finishes and appointments at 1200 Avenue at Port Imperial include Brazilian Chestnut hardwood flooring throughout the home, Whirlpool front load washer & dryer, Honeywell WiFi Smart thermostat, pre-wiring for motorized shades, and a fireplace with granite surround in select homes. Gourmet kitchens feature a full GE Monogram Appliance Suite, which includes a Pro Style 30” natural gas range, Advantium oven with SpeedCook Technology, Energy Star rated refrigerator and dishwasher, and, in select homes, a direct vented Advantium hood to outside air exhaust. Built-in, under-counter wine coolers, GE garbage disposals, and under-counter energy-saving LED lighting are also included. Glass and stainless steel mosaic tile backsplash and a combination of Spazzi Luz cabinetry enhance the kitchen’s ultramodern aesthetic. Linen Caesarstone and Italian porcelain countertops, as well as island and peninsula countertops with a waterfall edge, are also available in select locations. Luxury Master Baths include dual vanity Kohler sinks with Caesarstone countertops, custom Spazzi vanity cabinets, Kohler soaking tub and waterfall spout, and custom-designed Travertina Italian porcelain tile applications. Located in the heart of the $2 billion master-planned Port Imperial community that stretches two miles of Hudson River waterfront across three municipalities, 1200 Avenue at Port Imperial is ideally situated for commuters. The community is within walking distance of the Port Imperial Ferry Terminal, which offers ferry service to both midtown and downtown Manhattan. Shuttle transportation to the terminal is available daily through the Port Imperial Property Owners Association and Hudson-Bergen Light Rail service to the PATH system and NJTRANSIT’s Hoboken Terminal is also available nearby. The Lincoln Tunnel, Holland Tunnel, George Washington Bridge, New Jersey Turnpike, Route 3, and numerous other highways are all just minutes away. Port Imperial also features a waterfront walkway system and numerous parks just outside residents’ front door, and the nearby Shops at Riverwalk offers a dynamic and animated riverfront destination, with retailers such as Son Cubano, Ben & Jerry’s and Giannone Wines spread out along a picturesque, waterfront promenade. For more information on 1200 Avenue at Port Imperial, visit www.TheAvenueCollectionNJ.com, or call 201-210-0099. The Welcome Home Center is located at 1600 Avenue at Port Imperial, Weehawken, NJ 07086. For more information on Lennar, visit http://www.Lennar.com.